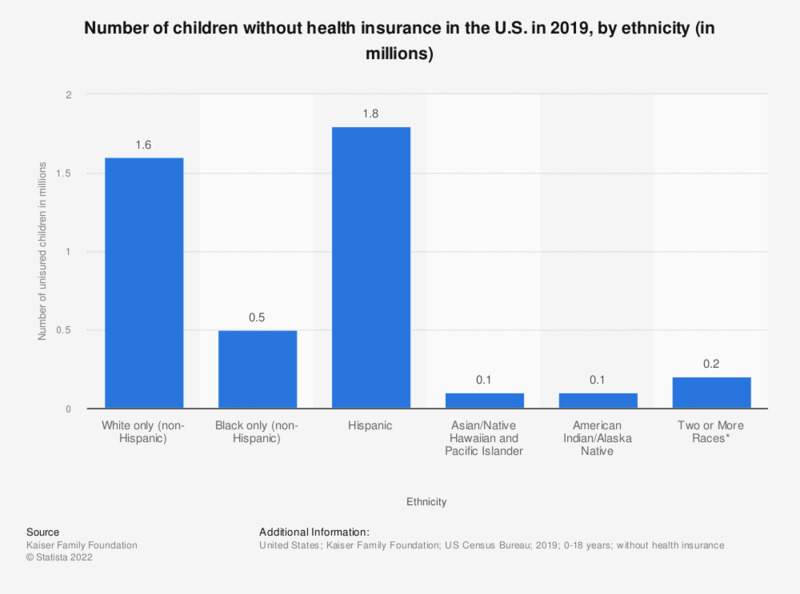 This statistic shows the number of children without health insurance in the U.S. in 2017, sorted by race/ethnicity. Some 1.5 million non-Hispanic white children in the United States were uninsured. Whereas, the number of uninsured children in the black only group was around 0.5 million.